You already know that whatever your message, customers and coworkers are persuaded – not by your title – but by how much they trust you. 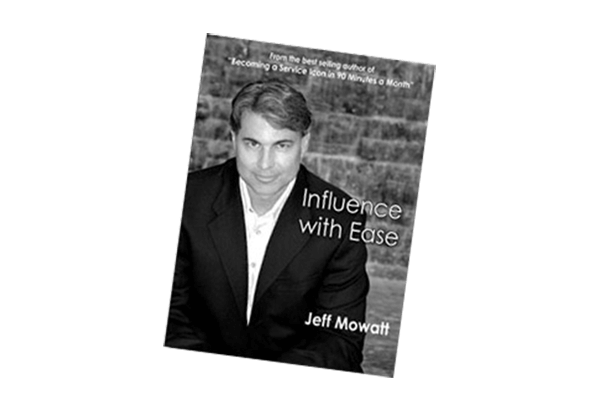 In Influence with Ease, Jeff Mowatt shares 30-second tips that strengthen trust in virtually all of your communications. 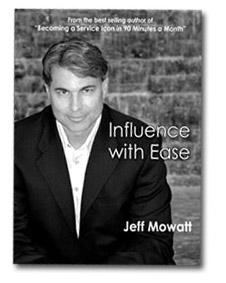 If you like the quick-tips Jeff reveals in his articles and presentations, you love his book. Of all the 30-second tips that Jeff’s shared, we selected the best-of-the-best to include in this book. In all you get 101 of his most powerful tips. Plus, it’s sprinkled with light hearted chuckles and cartoons to help lift your sprit – much needed when you need to deal with other humans! And much more! – in all 101 tips to Influence with Ease. If you or your department deals with customers, this is the guide for you and your team. So that you can also print-off and post individual tips in your workplace, order the CDrom version of Influence with Ease. This version has over 200 tips as individual printer-friendly bulletins. Click here for information about ordering the CDrom version with over 200 tips.